Returning from the American Geriatrics Society Annual Scientific Meeting, I am struck by the thought that the United States’ health care policy is functioning without a compass. We are at the beginning of a tremendous demographic change in this country, but are we adequately preparing US physicians to care for an aging population? Most residency education in the US is funded through Medicare. Given Medicare’s charge is primarily to care for adults over 65, you would think that Medicare would emphasize training physicians to meet the needs of an aging population. Yet the statement that sticks with me from AGS is this: “10,000 new beneficiaries enroll in Medicare every day, yet we lose 5 geriatricians every week.” Astounding! Moreover, the additional trends in geriatric education actually point to less support for training physicians to care for older adults. The Reynolds Foundation, which has been a tremendous supporter, is a foundation designed to spend down its assets and will soon no longer be a source for innovative grants to improve delivery of care to older adults. Likewise, the main grant for training geriatrics clinician educators, the Geriatric Academic Career Award, will not be funded by the Health Research Services Administration this year. How will we create the clinicians that we need for our future without support for the educators who will teach them? My wife would remind me that when you are lost (and our health care policy is lost in this regard) it is time to stop and ask for directions. Of course the modern equivalent for directions is the GPS map. I propose it is time for a new GPS, this one inspired by the National Service Corps. 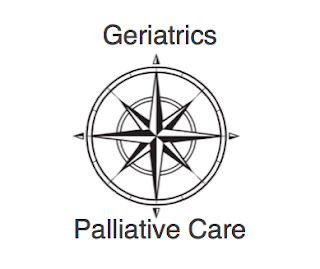 We need a National Geriatrics and Palliative Service Corps. It can be our new compass to provide the US the health care workforce we need to care for older adults. To promote geriatric or palliative care training, all residents who complete a geriatric or palliative care fellowship shall have half of their student loan burden relieved through federal debt forgiveness or payment to private lenders. Crushing student debt is a key factor driving trainees to higher paid specialties and this will make geriatric and palliative care training more feasible. To promote excellent geriatric and palliative care academicians, those who opt for a second year of additional academic or research training will have all subsequent student loans forgiven or paid. 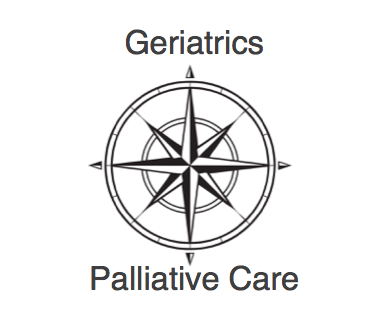 To promote clinicians practicing in geriatrics and palliative care rather than further specialty training and to allow for appropriate geographic distribution across the country, those who only complete one year of fellowship will be eligible for further debt forgiveness after completion of a three or five year clinical commitment in a designated geriatrics/palliative care service area. With regards to geriatric and palliative care workforce, our health care policy is lost, but this is the GPS that can get us back on the path. Disclaimer: This piece is the opinion of the author alone and does not represent the opinion of the American Geriatrics Society nor the American Academy of Hospice and Palliative Medicine. Excellent suggestions Paul. I would advocate for including nurse researchers, faculty, and advanced practice registered nurses who care for older adults in the National Geriatrics and Palliative Service Corps. I agree with Toni about the importance of educating advanced practices nurses in these specialty areas too! UCSF School of Nursing started a palliative care minor for APN students this year, with more post-graduate educational opportunities in palliative care for practicing clinicians in the SF Bay Area planned in the near future. I agree with Toni while also adding physical therapists. With the baby boomer generation being highly active and medicine shifting towards preventative health, I believe that physical therapists will be among the team elite for taking on this new challenge in healthcare. I 100% agree. I also believe that we need to use technology to improve care service at home. Through virtual care platform, we could improve the service offer but more importantly we could enable "just in time" training for the staff. The better our workforce get to learn what to do with patient at home in critical situation (palliative and other), the better decisions they will make. This way, we will be able to reduce admission, keep people longer at home, and be better ready for a large of number of people that soon will be at the age requiring a lot of care services. Great idea, but focusing solely on physician training misses the fact that many professionals, including nurses, social workers, and psychologists, are in short supply in this area.